You need an experienced immigration attorney who will protect your rights. We are an immigration law firm based in Chicago, and we are dedicated to providing help to our clients facing a variety of situations. Our legal team offers services related to employment and family-based immigration, removal defense, citizenship, federal litigation, and more. There is no reason to hesitate before giving us a call. We are here to help you find a positive resolution. You may be facing some serious fears and concerns at this time. By choosing our team of dedicated Chicago immigration attorneys, you can experience restored confidence and renewed hope for the future. 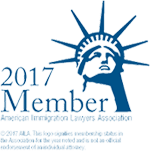 We are passionate about helping individuals like you who are facing challenging legal issues in the realm of immigration law. The system is confusing, but with our advocates on your side, you can feel good about the direction of your case. We work hard to keep up-to-date regarding developments in immigration law in order to serve our clients as effectively and strategically as possible, utilizing innovative techniques tailored to each individual case. Help our clients fully understand the situation they face so that they can move forward with peace of mind. We refuse to settle for less than wholehearted representation of our clients' interests. Our legal team is committed to doing everything in our power to help the individuals we represent realize their immigration goals. Call to schedule a free consultation with a member of our legal team today. We offer complimentary initial case evaluations at no obligation, so you can receive answers to your questions and get to know our team before making your final decision regarding representation. With a track record of positive client interactions, you can rely on Milla & Associates, LLC to help defend your rights and promote your interests. Contact our office to learn more.